It's been another solid week for PlayStation 4 software sales in Japan. 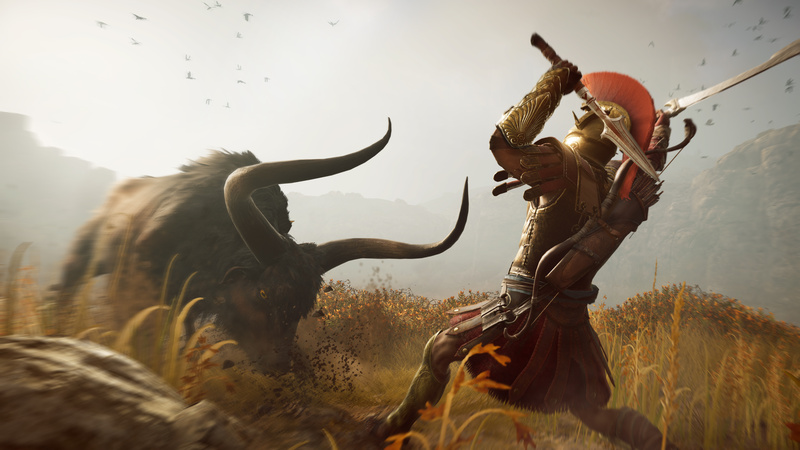 Although the new Mario Party jumped in at number one in the charts, Assassin's Creed Odyssey entered in second place, shifting a reasonable 45,000 copies on Sony's system. Fellow newcomer Mega Man 11 also made the top ten, coming in at number seven on PS4. The previous week's number one, Warriors Orochi 4, saw an expected decline in sales, but still managed to settle in third place. Meanwhile, Marvel's Spider-Man, which has done very well for itself in Japan, continues to hang around in sixth. It's been a good couple of weeks for PS4 software, but again, hardware sales remain stunted. Both standard PS4 and PS4 Pro sales are down, and at this point, it's going to take nothing short of a super mega ultra blockbuster to boost them back up. For those interested, that's 5000 less than Origins, which had a more difficult week to release too, debuting alongside Mario Odyssey, ARK and Shin Megami Tensei. Then again, that was the first week of November. Good to see that Odyssey is still doing well even in Japan but I suspect it’s worldwide sales will be a lot slower soon with both CoD and RDR2 out in the next 2 weeks. It's a great game but it’s come out at a bad time for me. It’s a massive game, I spent about 2-3 hours finishing the little island you start on to 100% and going by the world map, that little island barely covered 5% of the whole map. With RDR2 out in almost 2 weeks time and me getting a PS4 Pro in not even 4 weeks, I’m never going to get time to finish it till probably sometime next year. The Pro price drop was announced earlier in the week, so it makes sense that people are holding out. Expecting the Pro numbers to jump massively next week. Easily the best AC to date in my book. Vita is still doing pretty decently. Wonder if quite a few people in Europe and the US are still importing it from Japan? What's with the big surge in X1 sales? Are there price drops going on over there?